Are Hoverboards safe in 2019? We got an answer for you. Check out the article below! What do you think of when you hear the word “hover board”? Do you think of a device that has wheels that so many people around the world enjoy riding? Or do you think of a machine that catches on fire? With those questions in mind, we at My Self Transport will try to open your eyes to see if hover boards are safe to buy in 2019? Hoverboards were released in late 2014 and everyone from celebrities to famous athletes wanted to get their hands on one. It quickly became the hottest item to get during the holidays no matter how old you were. Due to the popularity of the hover board, companies went overseas where the boards were manufactured with no regard for regulation. Factories were using cheap quality materials on their boards and tires and most importantly, they were using non-branded lithium batteries. Not only was that bad for charging but it also was a fire hazard. Word got out about how dangerous these hoverboards had become. Videos of hoverboards catching on fire while charging and while being ridden were going viral. 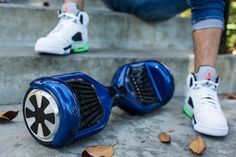 This prompted retailers such as Amazon, Target, Toys R Us and eBay to ban hoverboards from their sites and terminate all sales immediately. It was a sad time for hoverboard companies, who just a year ago, was experiencing so much success. Now they forced by the Consumer Product Safety Commission to recall all their hoverboards. Everyone who had previously purchased a board were told to demand a refund from the buyer or even safely dispose of it. 2016 was the year the hover board officially died…or was it? The Consumer Product Safety Commission heard about all this and demanded hover board manufacturers to take non-UL compliant boards off the market and if possible, replace them with UL compliant boards. It got to the point where if these rules were not followed, it would result in civil or criminal penalties. Now that manufacturers were producing hover boards that were UL 2272 Certified, Amazon allowed for them to be sold on their website once again but only those with the certification. Many other retailers, such as My Self Transport are following in their footsteps and allowing hover boards to be sold on their sites, which is really good news for any hover board enthusiasts. It seemed as though 2016, 2017 and 2018 were the years that the hoverboard made it to the homes of people of all ages. 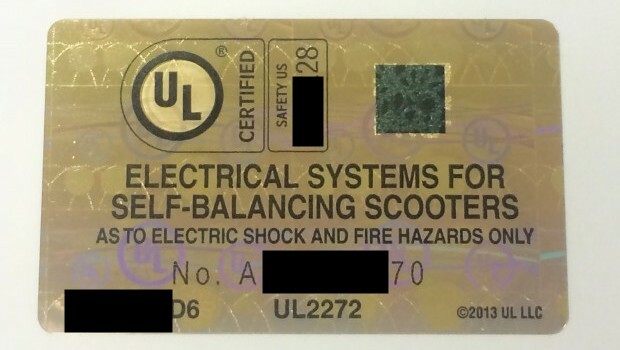 So, if you or anyone you know is considering buying a self-balancing scooter, My Self Transport highly recommends making sure the board you are looking at is UL 2272 certified. Even though they were forced off the market, there are still some that are available that are not certified. Please be aware of that when purchasing. Once you have a hover board, one of the biggest tips that we can provide is to not overcharge the hover board. Although the newer hover boards on the market have technology in them to prevent from overcharging, it is still highly recommended to follow the charging times provided in the user manual. Also, make sure that you are using ONLY the charger that the hover boar came with. There are a lot of generic branded companies that sell chargers. If you have misplaced yours, please go to the manufacturer of your particular hover board and purchase it through them. Another tip that we recommend is to be careful about what the manufacturer says about the weight of the rider. All hover board companies provide minimum and maximum rider weight limits. This is to ensure that the board will be safely controlled by the rider. Back to the original question of if the hover board is safe to buy in 2019. We at My Self Transport think that right now is the best/safest time to buy a hover board. With such strict standards that are placed on all manufactures, everyone should feel safe to ride a hover board. Also, with new technology added onto hover boards such as Bluetooth and Self-Balancing capabilities, it will be just as cool as it will be safe. A combination that every rider would love to have. Be sure to check out our top hoverboards reviews here. arrow_backHow To Fix Hoverboards With Common Household Tools?